Helping Bay Area moms connect for over 20 years. Nurture ourselves, our children, our partners, and our community. Create an environment of support, information sharing, and connection. Learn, teach, create, have fun, and provide balance in the lives of our growing families. Finding the fee to be a financial hardship? We offer financial assistance for members in need so everyone can get the support they need as parents. We are completely volunteer run and always looking for new volunteers. We have volunteer positions that fit any time commitment! We believe in giving back to our local community, whether it's reaching out to members in need or supporting local charities. GGMG has an incredibly active online forum where over 4,000 moms discuss everything from the best playgrounds to recommendations for every product and service under the sun. Six times a year you'll receive the GGMG Magazine, available exclusively to members. 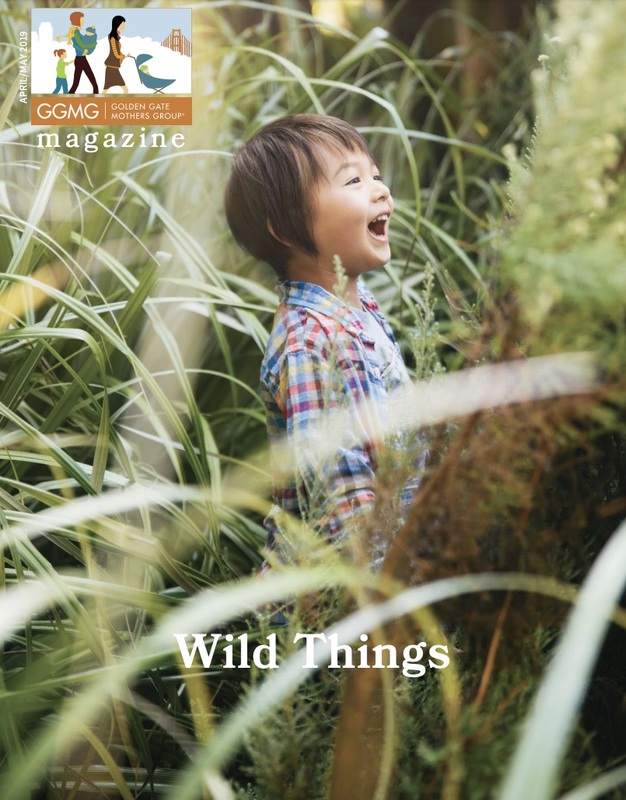 The magazine is filled with in-depth articles about hot parenting topics as well as local recommendations. Connecting moms offline, GGMG hosts playgroup formation events for you to meet moms with similarly aged little ones. GGMG also facilitates neighborhood meetups across the city. GGMG hosts over 100 events a year for our members! Events include wine nights just for moms, resume workshops, our huge Halloween Spooktacular, parent education events, holiday cookie decoration, cooking classes and much, much more! We offer an amazing array of discounts and partnerships for our members. From swim lessons to sports equipment to free babysitting, you will get far more than your $75 membership in value! Looking for a bargain? Has baby outgrown that perfectly good high chair? Check out our classifieds where members find great deals every day! For exclusive and limited time promotions to our members. For a substantial ongoing benefit or discount, valid for 12 months. By invitation-only. Sourced by the GGMG Partnerships team. After One Year of Volunteer Service Your Next Year of Membership Will be Free! I don’t know how I could have gotten through motherhood without GGMG—it has brought me some of my closest friends as well as useful resources and information to help with the kids. It’s also been incredibly inspiring to witness a community of women lift and support each other. It has been an amazing example of what women can accomplish when we work together. - Cathy T.
GGMG was my secret weapon as a new mom in San Francisco. I found a wonderful playgroup though GGMG, and I always knew that I could turn to the forums, day or night, with any question, problem, or vent and I'd be showered with sage advice and camaraderie. - L. H.
I moved to SF from Seattle with a 15-month-old. GGMG enabled me to make lasting friendships with other moms nearby and to experience SF in child-friendly ways every time I changed neighborhoods (twice so far!). - M.B.